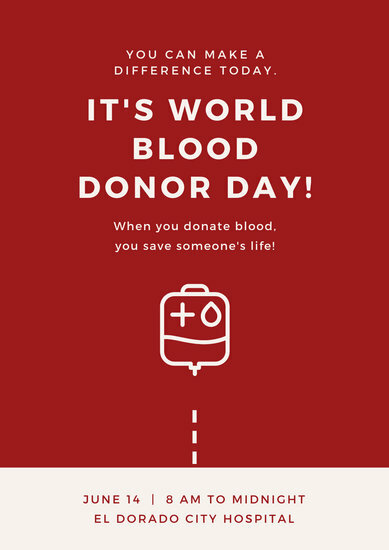 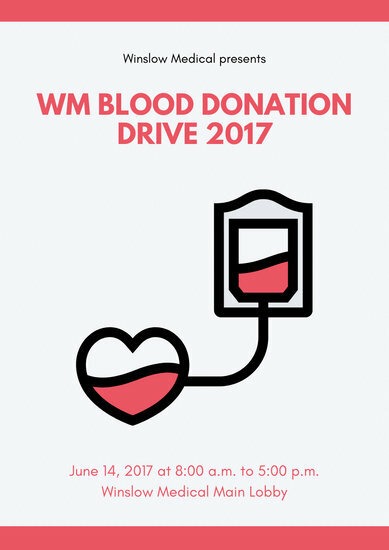 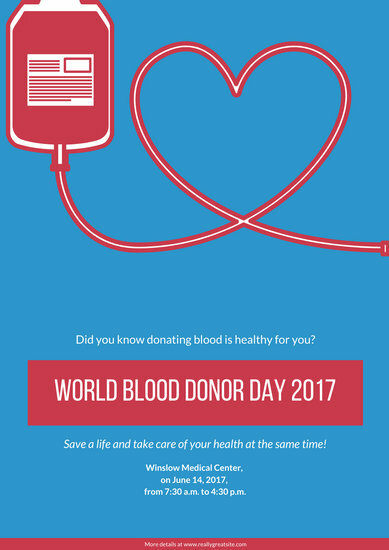 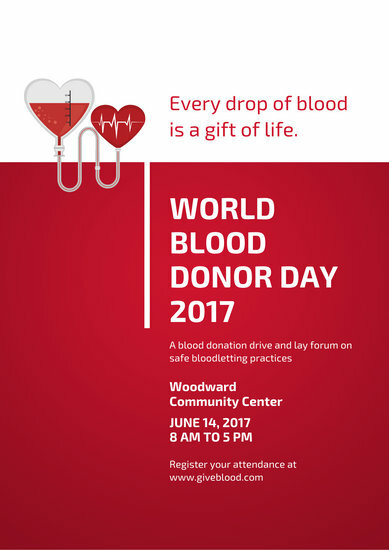 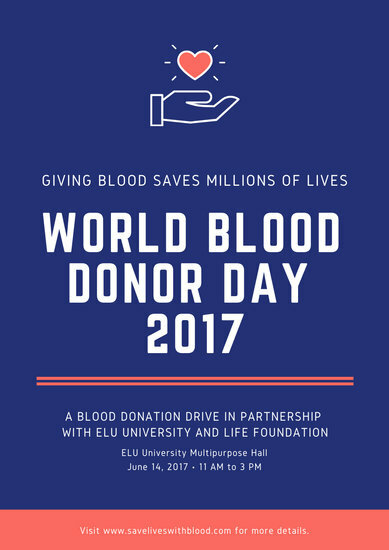 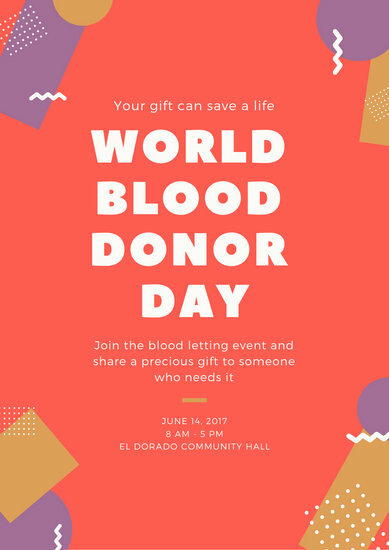 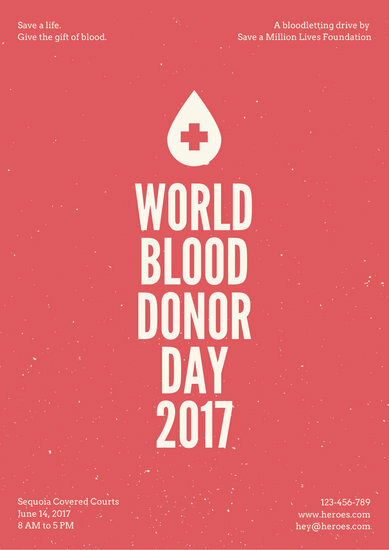 Browse our collection of customizable templates designed especially to promote World Blood Donor Day. 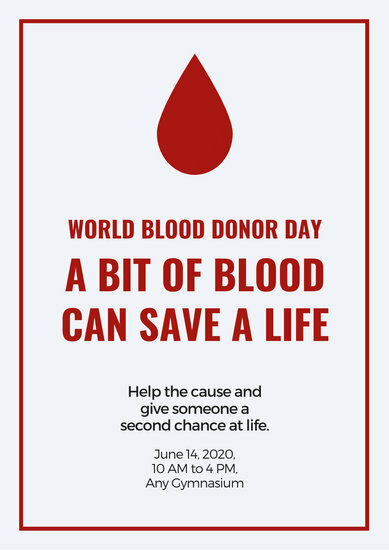 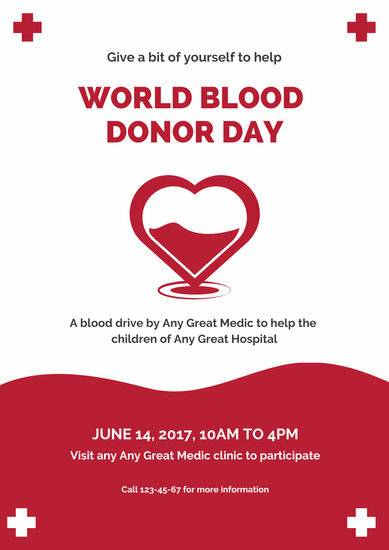 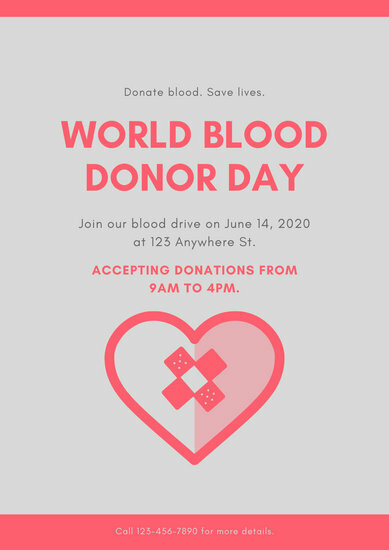 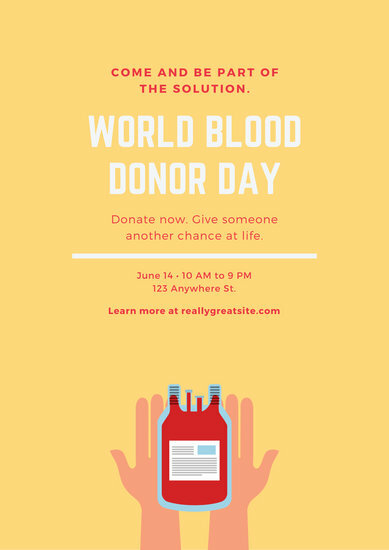 An annual event that takes place every June 14, World Blood Donor Day is all about raising awareness and stressing the importance of blood donating. 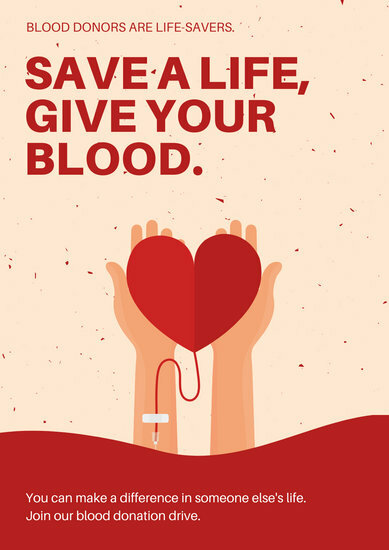 Do your part and encourage others to give blood. 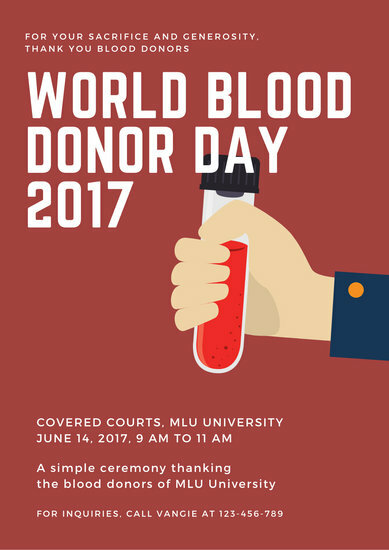 Support World Blood Donor Day by hosting a special gathering at your hospital, university, or institution. 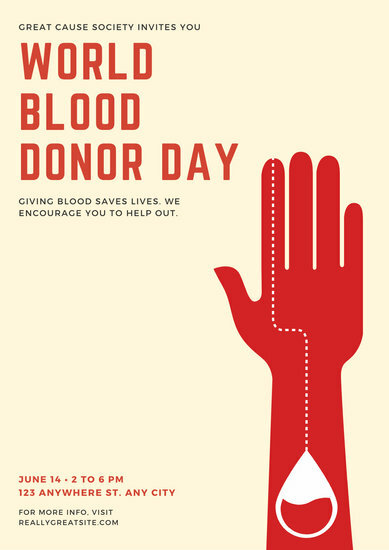 Craft a poster that will help publicize your upcoming blood drive or blood donor day. 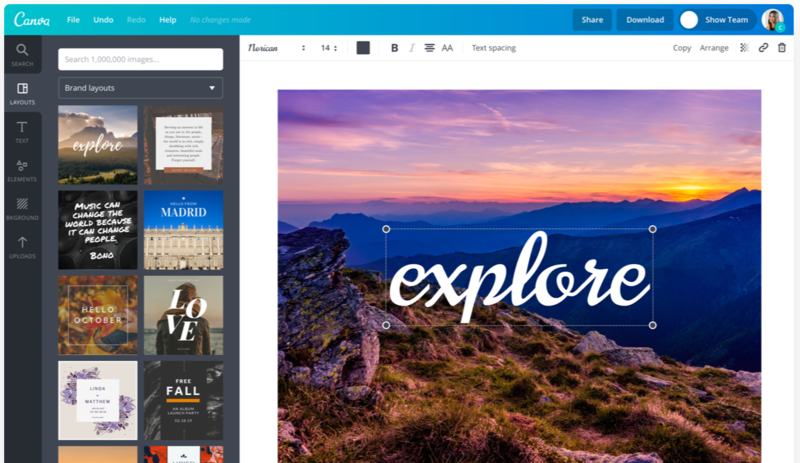 Turn to Canva for hundreds of outstanding, ready-made templates you can edit instantly! 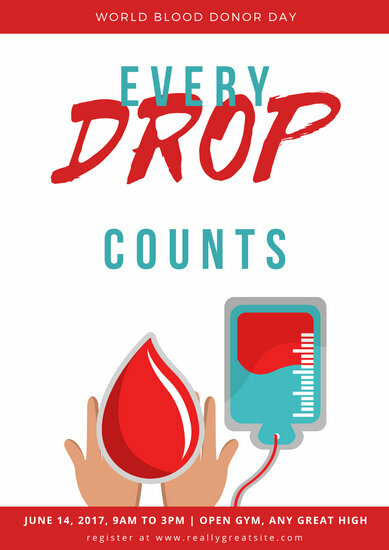 Sign up for a free account on our website or download the mobile app so you can work on it wherever you go. 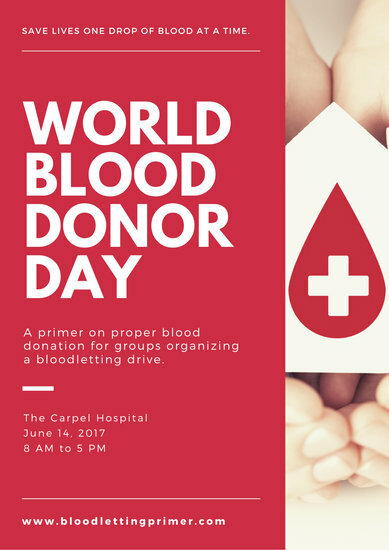 You don’t have to be a skilled graphic artist to modify your handpicked Canva layout. 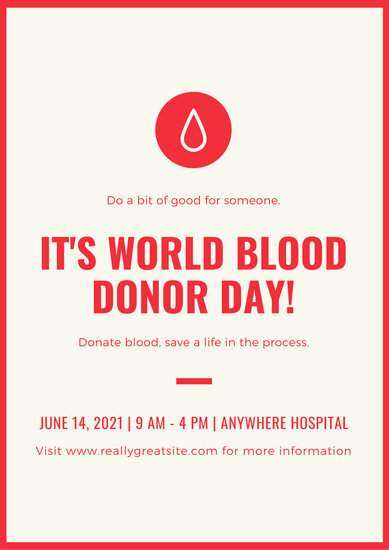 Just retain the original design or drag and drop a few elements to come up with a more personalized poster in minutes! 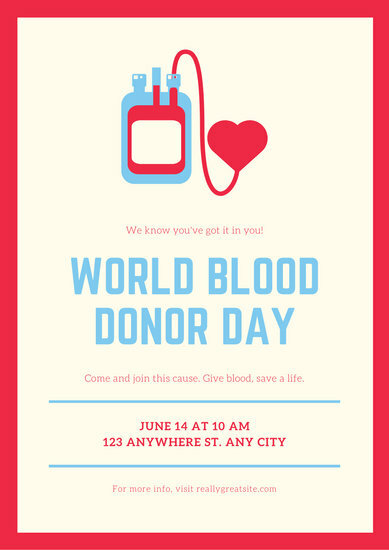 Browse through the professional pictures, artistic illustrations, and cool vector graphics found in Canva’s digital stock collection, and use them for free or for a small price. 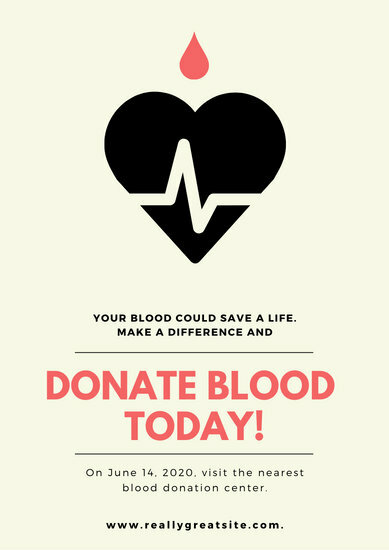 Insert a hand pattern for the background or opt for a heart overlay as the central image. 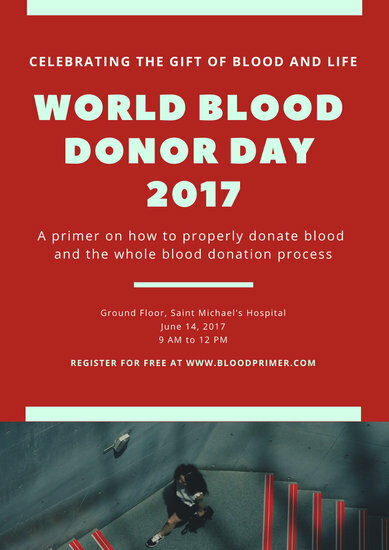 Go for a deep red hue to make people think of blood, or combine it with complementary or contrasting colors to form a new palette. 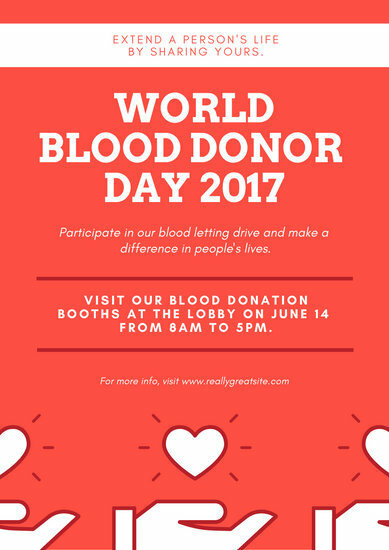 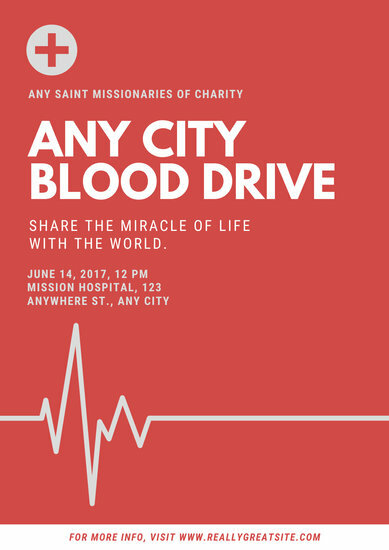 Share the benefits of donating blood such as saving someone’s life and becoming an instant hero through a mix of serifs and scripts. 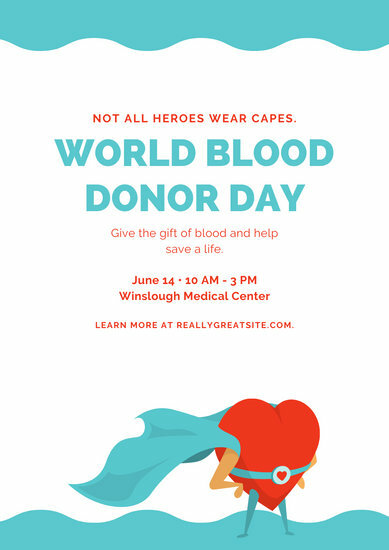 Save and print copies in JPG, PNG, or PDF when you’re done designing. 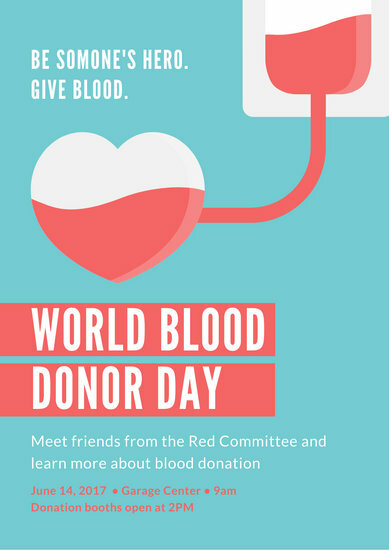 If there’s a title or venue change, you can always tweak and update the printable Canva poster. 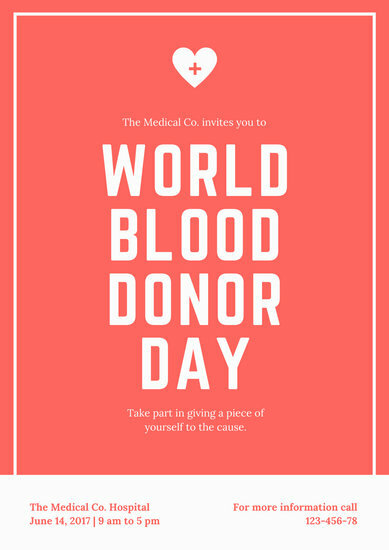 Post the announcement on social media, or send it to colleagues through a quick Share link.